Yellow Maca powder is the ground root of the maca plant. It is thought to have a beneficial affect on energy levels and vitality as well as a balancing effect on the hormonal system. 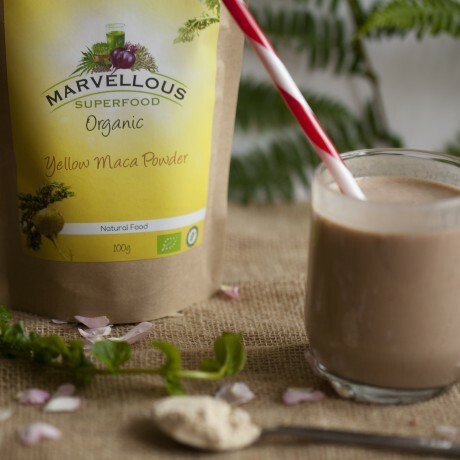 Maca powder is around 10% protein, 10% fibre and 60% carbohydrate. It contains 8 essential amino acids and is abundant in essential fatty acids. It also contains: Vitamins B1, B2, C and E, calcium, magnesium, iron and potassium.